Fausto Canel was born in Havana, Cuba, where he studied engineering. He wrote film reviews for newspapers and magazines and belongs to the generation of filmmakers that developed ICAIC (Cuban Film Institute). Some of his Cuban films won prizes at international film festivals. His film “Desarraigo” (Unrooted) won the Jury’s Special Prize at the San Sebastian Film Festival in 1965 and has become a point of reference to the historians of Cuban films. Disappointed with the increasing totalitarianism of the Castro regimen, Canel left Cuba in 1968 and established himself in Paris, France, where for 9 years he directed documentaries for French television. 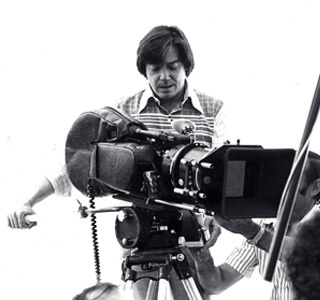 He also directed the short “Journal de Madrid”, a meditation on a trip to General Franco’s Spain, and “A la dérive”, a 30 minute story that marked his return to feature films. Once democracy returned to Spain, he moved to Madrid and made “Espera”, (Waiting), a short that represented the country in the Human Rights Film Festival at Valladolid. He also wrote and directed the feature film “Power Game”, a British-Spanish co-production. In the US, he directed “Minefield”, a feature-length documentary on the return of democracy to the Southern Cone of South America. In 1992, he published “Ni Tiempo Para Pedir Auxilio“, an autobiographic novel. “Dire Straits by Fausto Canel“, a movie in words, was published in 2013. “Sin pedir permiso“, a book of memoirs is now available. He lives in Miami, Florida, where he produces and directs radio.